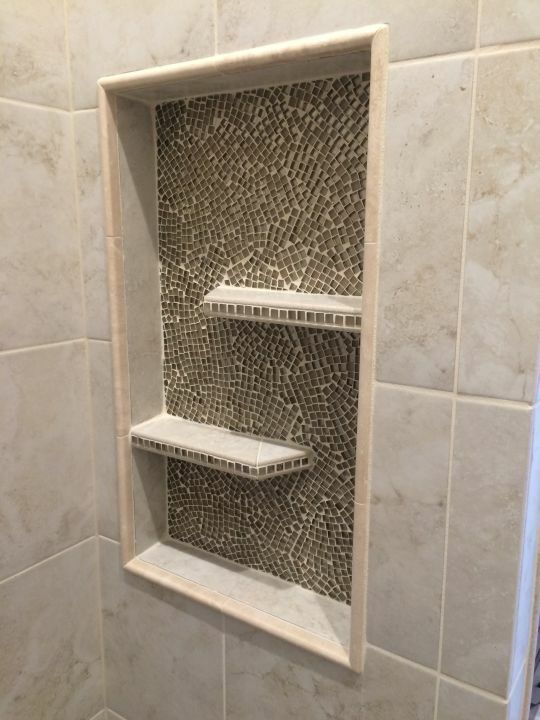 This tile shelf spans from wall to wall on the back of the shower. 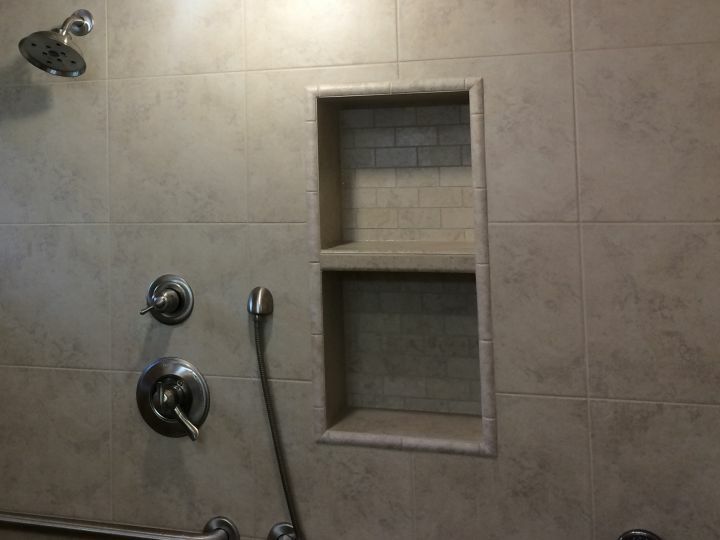 Dual tiled niche for dual shower heads. 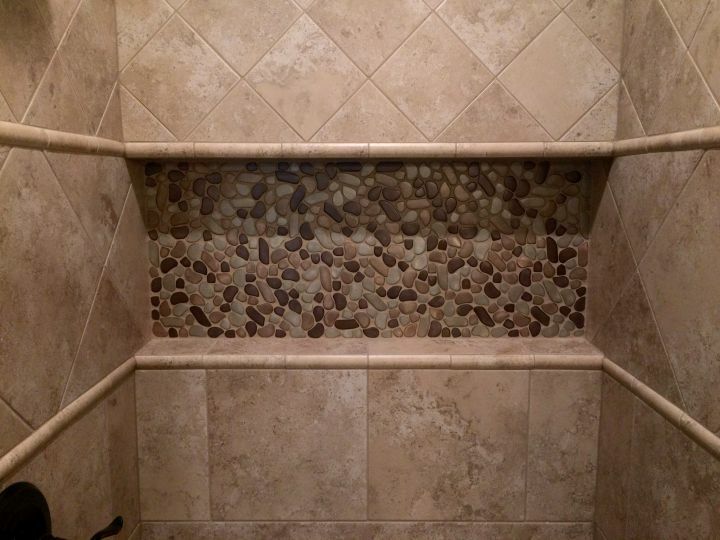 The stone accent band flows thru this tiled niche that sets between the shower head and shower valve. 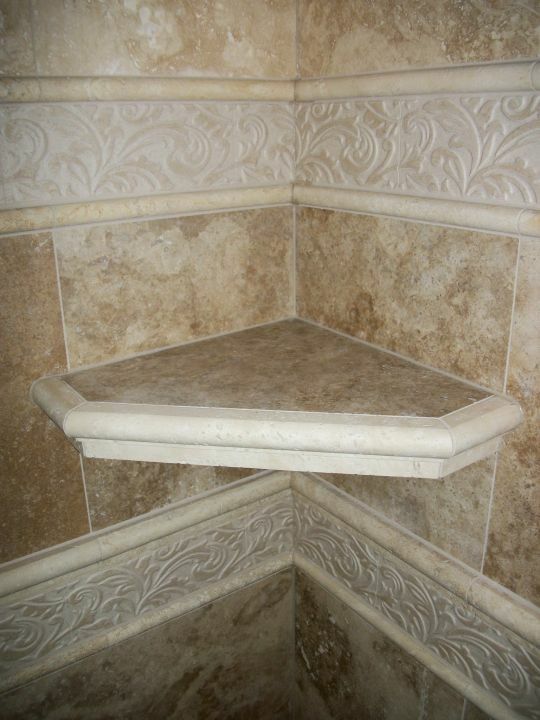 Travertine tile corner shelf with ogee edge set between two decorative bands. 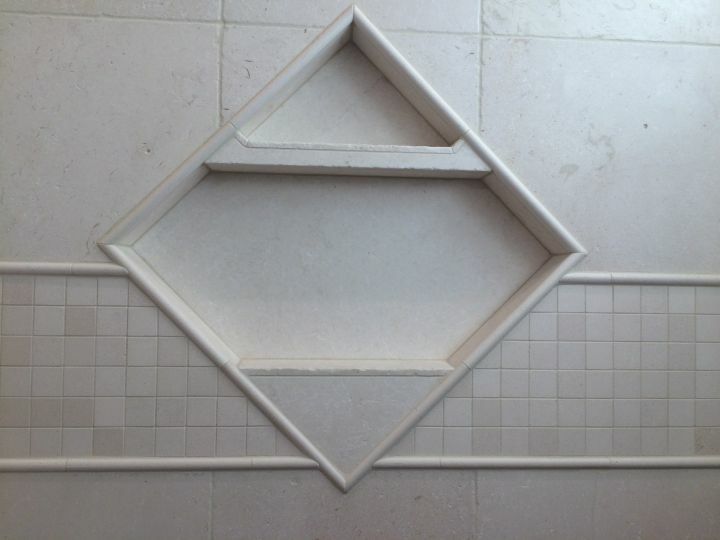 This tile niche has two floating shelves. 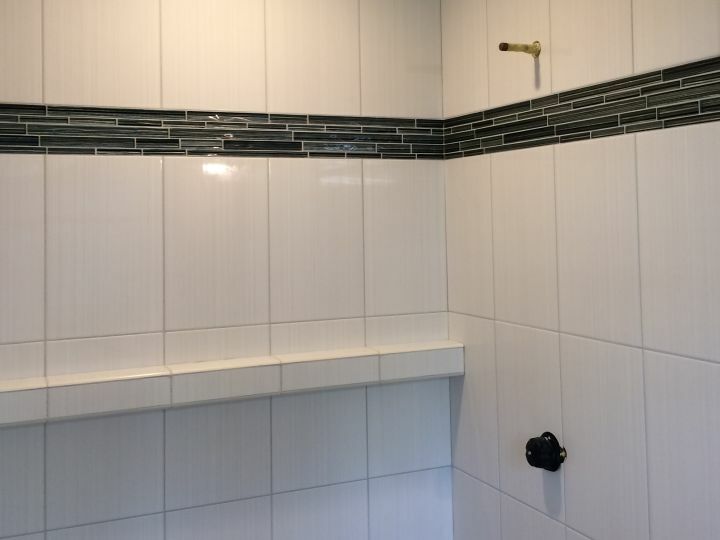 Edge of shelf and back wall of niche are glass mosaic tiles. 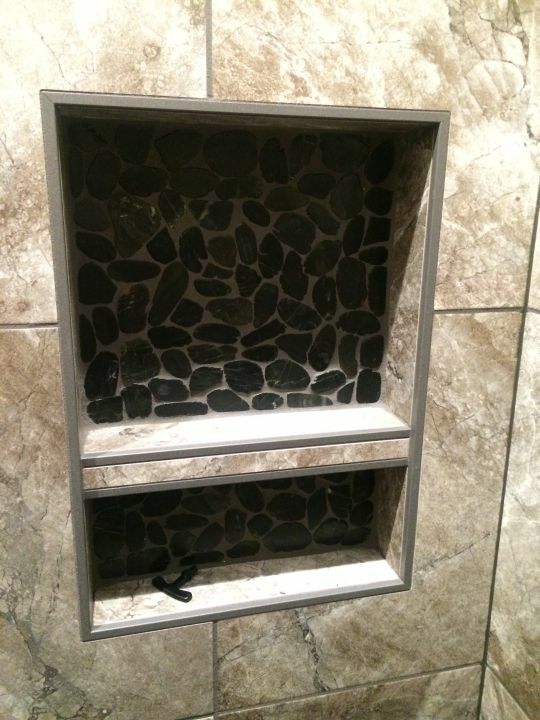 Dual tiled niche with a textured metal edge profile. 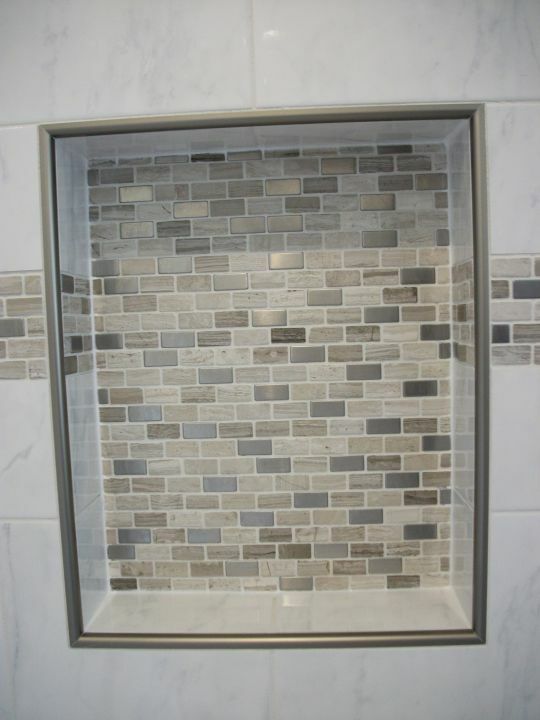 This tiled niche has a metal edge profile and mosaic back wall. 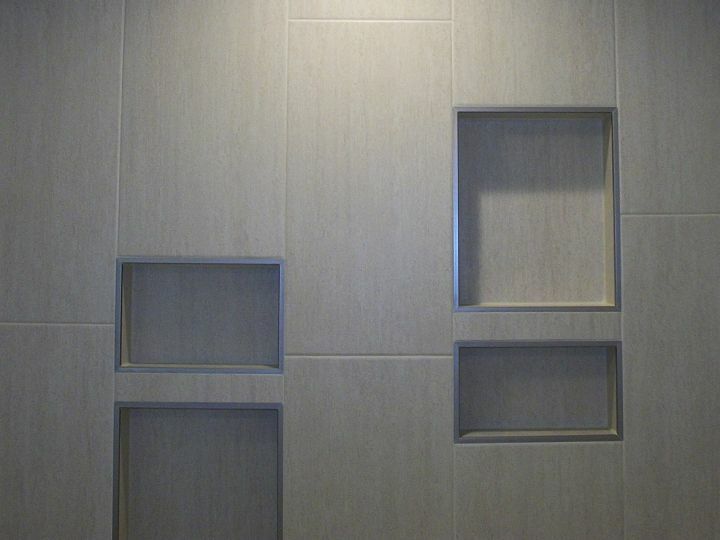 This double dual niche is a single tile in the pattern divided and set back. 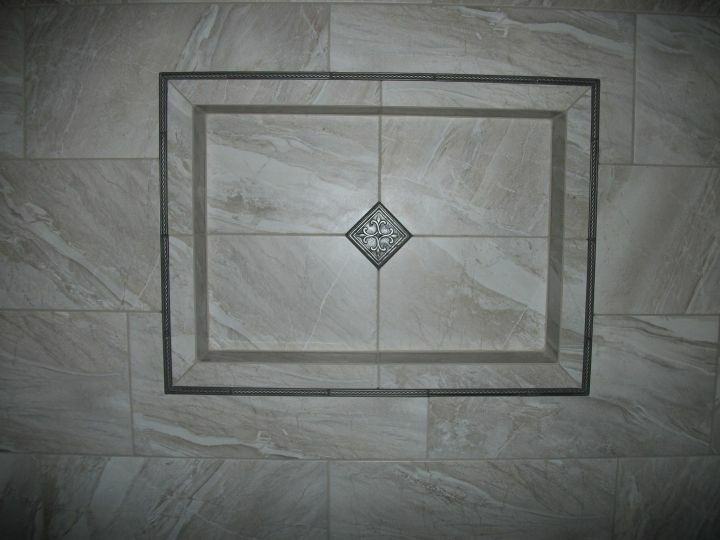 This recessed niche features an outset border liner, and the intersection of the four back wall tiles has a accent diamond tile. 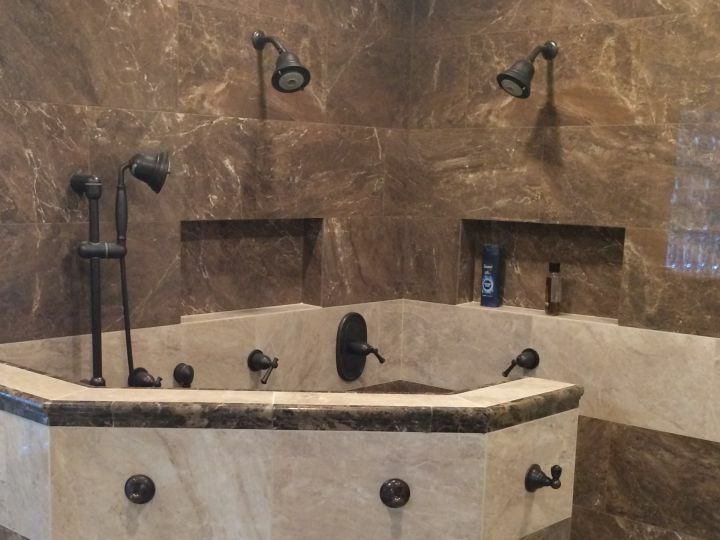 This tile niche spans from wall to wall on the back of the shower. 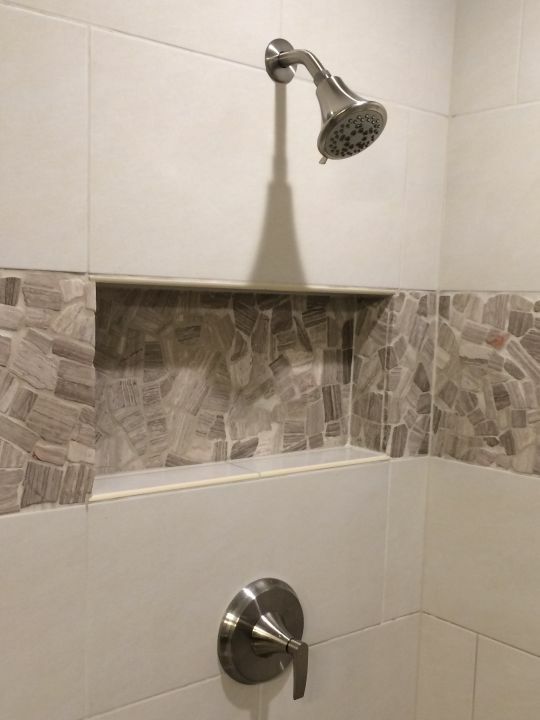 Back wall of shower is mosaic, and edges are quarter round tile.